DroidDosh.com - If you own the AT&T Galaxy S7 Edge (SM-G935A) and have been able to receive the official Nougat OTA for some reason, you can download the stock Android 7.0 Nougat firmware from the link below and install it manually using Odin. Keep in mind, before going through the entire tutorial please be advised that it is your own responsibility to go further. We are not liable for any loss of data or any property of yours by any mean. If you are curious about it, let me list a few new things that you’ll be able to enjoy after installing the Nougat firmware on your AT&T Galaxy S7 Edge SM-G935A. Go to Settings on your phone > scroll down to About device or About phone and tap on it > note the Model number. This guide is focused on Samsung Galaxy S7 Edge AT&T model SM-G935A. 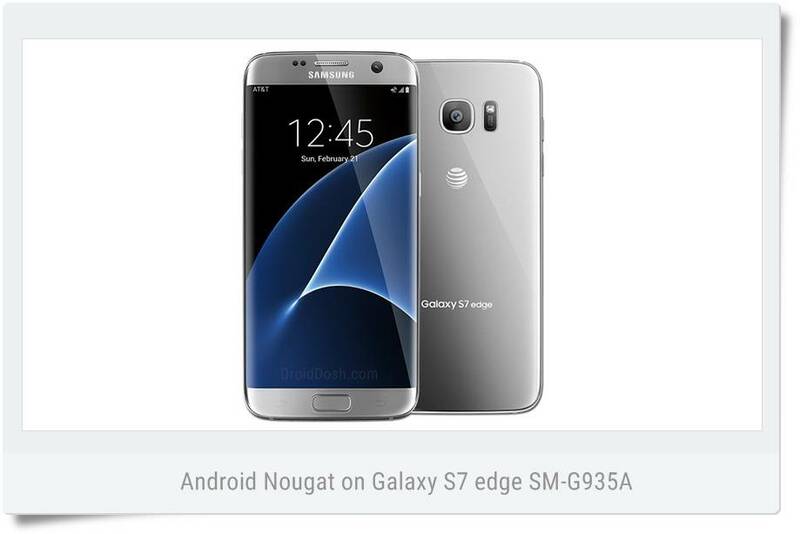 Download Android 7.0 Nougat Firmware for Galaxy S7 Edge AT&T (SM-G935A). The latest G935AUCU4BQF3 Android Nougat firmware is now available for the AT&T Galaxy S7 Edge (SM-G935A). It’s a multi-file firmware and you can download it below. 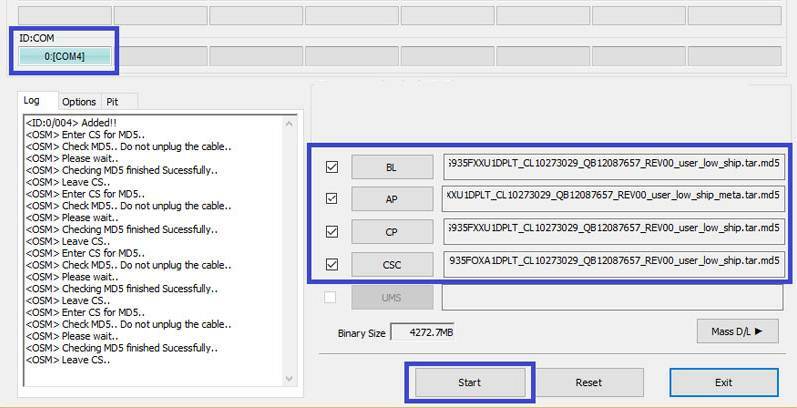 Unzip the firmware zip file you downloaded from above. You will get 4 files (with .tar.md5 extension) inside the extracted folder. Switch off your Galaxy S7 Edge AT&T and boot it in Download mode. To do so, turn off your phone and press and hold the Volume Down + Home + Power keys at the same time for 2-3 seconds to boot your phone into the Download mode. Release the keys as soon as you see a blue screen with exclamation sign and press the Volume Up key. 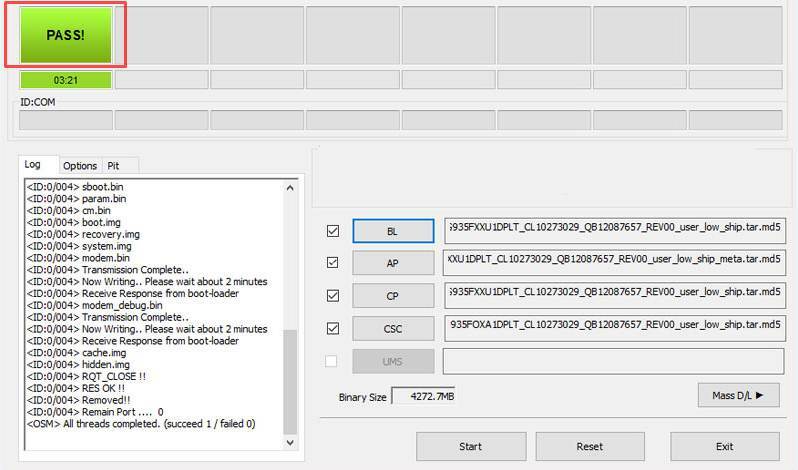 Wait until your AT&T Samsung Galaxy S7 Edge SM-G935A boots up and enjoy the newly installed Nougat firmware.